Lisa joined Lincoln Financial Advisors and Mosaic Wealth Consulting in September 2006 and is the Client Relations Manager working with Bruce Horvitz. Previously, Lisa spent nine years, 1992 – 2000, in the transportation industry as the executive administrative assistant to the President of the company and an additional six years, 2000 – 2006, in the environmental industry as the Administrative Assistant to the Marketing Manager. 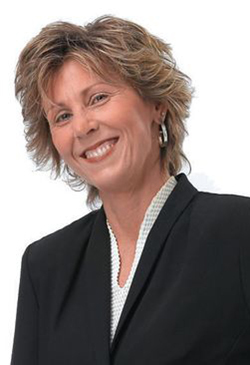 Lisa brings to Bruce’s practice, a high level of customer service and administrative skills. In addition to these skills she went on to obtain her Life, Accident and Health insurance licenses in 2008 and in 2010 she obtained her Property and Casualty license. Lisa resides in Irwin, PA with her husband Ron and her dog Maggie. She is the proud mother of one son Joshua who is a technical educating teacher in the Boyertown School District. She enjoys walking, biking, kayaking, decorating, working on home improvements and spending time with her family and friends.